1. Their blog was called the bashboard, did they really think that it served a purpose other than to trash people? 2. 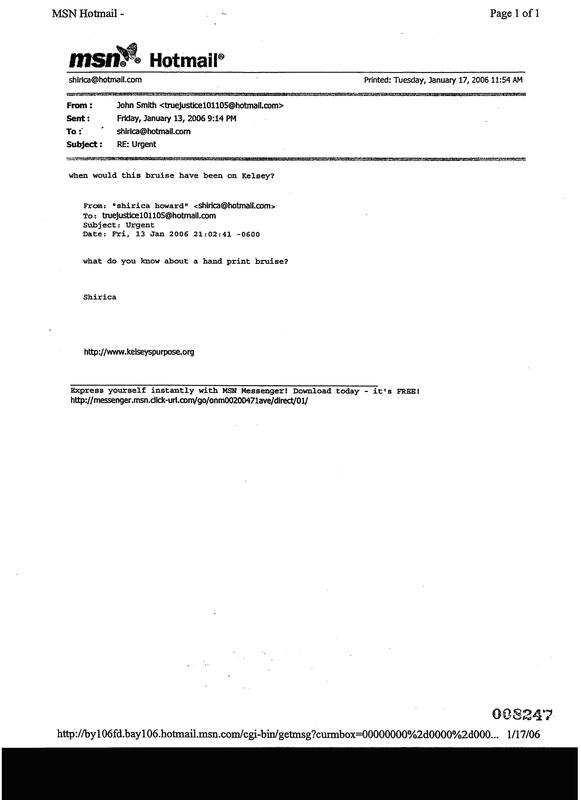 Pay close attention to this email. This is the first of many in which they begin to discuss Raye-Dawn being charged criminally. Remember, she had not been charged – and was not a suspect, until the MURDERER and the BRIGGS got together in emails and CONSPIRED to ensure that she was charged. 1. Why in the world would she offer to help Porter have a small “in” with the DA who was prosecuting him for the MURDER and SEXUAL ASSAULT of her niece? 2. Why would the DA give anyone involved in the case his “personal” email address? 3. Remember what was said earlier about the pot calling the kettle black – she can’t tell Ashley what she thinks- because she knows too much information. Hummm.. well Ashley now you know what Shirica was saying about you behind your back. 4. 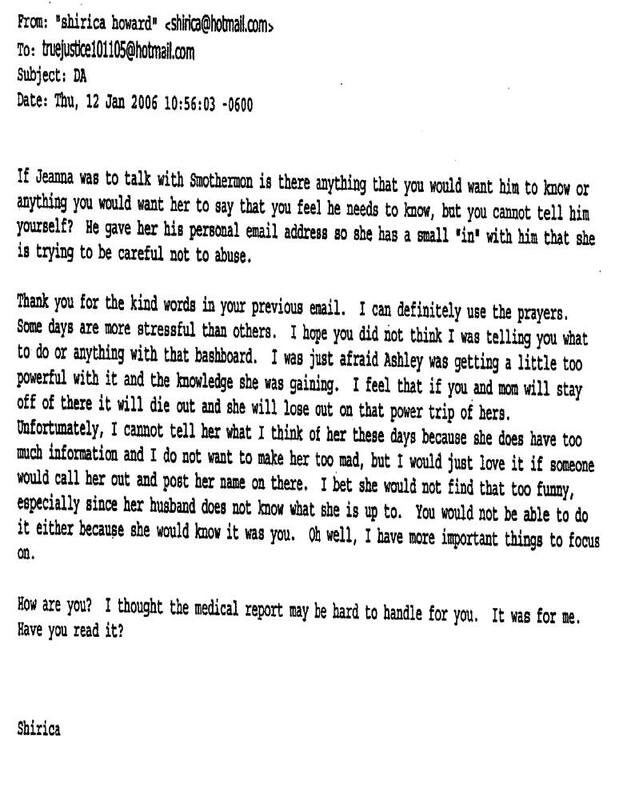 She is concerned for Michael Porter that he handled the medical report? This does not seem like luring. This seems like a genuine attempt to protect Michael Porter. I wonder how Ashley Gilbreth feels now after reading this email! She was on our forum for a while under the name Enough is Enough, we booted her because of her protection of the Briggs. How do you feel about them now Ashley? Shirica all but gave him her address and phone number. Maybe Ashley didn’t want a murderer knowing these things about her. This is where Mike Porter starts throwing out things to make himself appear innocent. Notice the hatred from both Mike Porter and Shirica for Raye Dawn. They're both impatient about Raye Dawn being charged and Mike said on the bash board that he would like to see himself charged with enabling and Raye Dawn charged with murder. Give us a break! It's so obvious that this is his desperate attempt at running away from his crime. 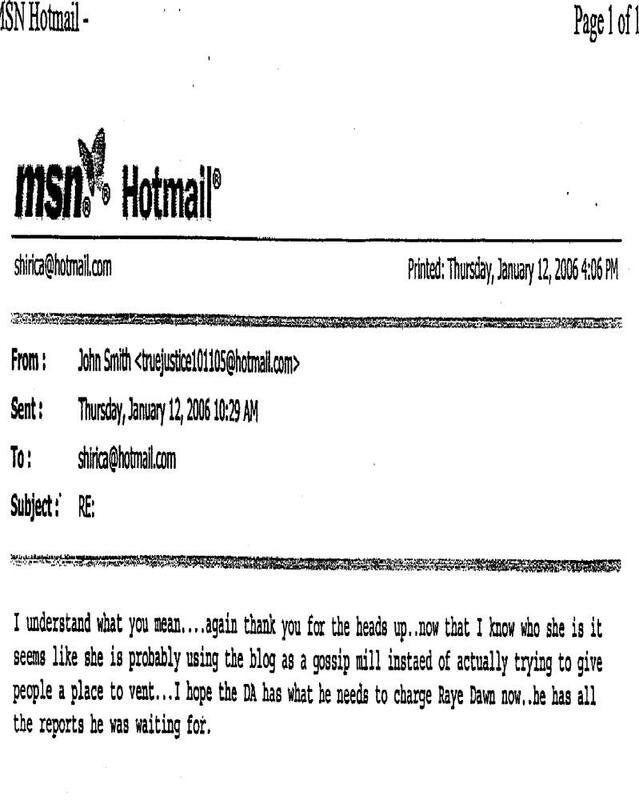 He even sent Shirica suggestions for changes in the system, or as we like to refer to it his "OJ How I Did It" handbook. Getting the TRUE story out there - that's exactly what we're doing Jeanna! Shirica was sharing information about the ongoing investigation with Mike Porter. In his response he pretends he's clueless. Was it the bruise that sealed his fate? He's probably referring to bruises that looked like handprints that were visible around Kelsey's knees when she returned from a visit with Kathie and Lance. But why on earth would Shirica want to talk to that man or believe a word he said? Multiple arrests in this case would have been nice! Too bad the DA was scared of the Briggs because at least one arrest should have been made within that family. The evidence was there that Kathie Briggs neglected Kelsey when she broke her legs at Kathie's home and Kathie watched her crawl for four days without seeking medical attention for her so she could blame Raye Dawn. Kathie and Lance Briggs were listed among the main suspects in Kelsey's abuse. Justice would have been done to have all the suspects in Kelsey's abuse, including Kathie and Lance, arrested and their role in Kelsey's neglect and/or possible abuse investigated. Following is Mike Porter's OJ style - "This Is How I Did It Handbook." Since Kathie takes Mike's words as truth, I wonder if she used his suggestions in planning "Kelsey's Law." This is just very sad! I'd like to hear Mary Beth's version of this because I doubt she ever planned to attend the rally and it's obvious that Mike was using Whitney to gain sympathy! Do you see the conspiracy now?